Róbert Vass started his professional career as President of non-governmental organisation Euro-Atlantic Center in 2002. He had remained in this position for the next four years. 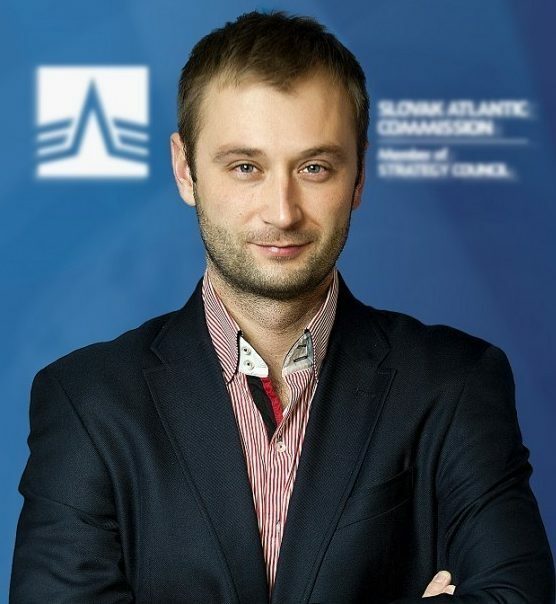 In 2006, he was elected Chairman of the Slovak Atlantic Commission (SAC) and in 2008 its Secretary General. Under his leadership, SAC has achieved substantial development, opened two new offices in Banská Bystrica and Bratislava, extended its programme and activities and became the exclusive member of Atlantic Treaty Association for Slovakia. In 2005, he founded the tradition of Bratislava Global Security Forum and since then he has been the patron of this initiative. He also organised the accompanying conference of NATO Defence Ministers Meeting and established the successful magazine on foreign policy and international security Euro-Atlantic Quarterly. In connection with the sixtieth anniversary of the United Nations, the UN Information Service in Vienna chose him as its temporary representative for Slovakia. Robert has a Master’s degree in International Relations and Diplomacy from the Matej Bel University in Banská Bystrica.